With Thanksgiving at the end of the month, the December holiday season is closing in quick. The orange and brown decorations will make way for more festive greens and reds. The season can get pretty overwhelming, so we here at Cypress River Blog have decided to share with you some ways you can prepare for the December holiday season and relieve some of the stress! Gifts are closely associated with the holidays in December, so we suggest getting in your gift shopping early. The earlier the better. Shopping early requires you to know what you wish to get your family members and friends. Make or request a list from your loved ones so you don’t have to guess, or take the time to think about each person individually to purchase or make them a gift they’ll love. When the holidays roll around, you’ll be thankful you’re not pushing and shoving your way through the malls or department stores here in Ladson, SC to find the right gift. It can get difficult to get into the spirit of the season when it’s warm outside or when you’re working a full-time job. It’s recommended that you dive into the holidays by watching some movies or listening to festive music! Stores all over will be playing holiday music, so find some that you enjoy listening to that aren’t frequently played, or prepare yourself for a season of repetition. If you find yourself at home with nothing to do, throw on a movie and curl up on the couch with your loved ones! Though gifts are the preferred method of showing someone you care during December, you can also perform service! Serving is a fun way to give back to the community and help others in need. Whether you donate of your time or if you donate physical items, you can know that what you’ve done will affect the lives of those less fortunate than you. Do you have any specific ways you prepare for December? 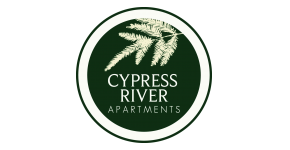 Let our apartment community know by leaving us a comment! Thanks for reading!